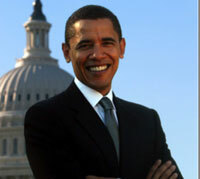 American President Barack Obama is fit as a fiddle, but he should lower his cholesterol and kick his smoking habit. That was the opinion of White House physician Jeffrey Kuhlman on Sunday after Obama’s first routine physical examination since becoming president. The 90-minute exam, conducted at the National Naval Medical Center in Bethesda, Md., found that the 48-year-old Obama was in "excellent health" and "fit for duty." The doctor said Obama did not need to return for another routine exam until August 2011, after he turns 50, Los Angeles Times reports. "The president is in excellent health and 'fit for duty,' " said a report from Jeffrey Kuhlman, the president's doctor. "All clinical data indicate that he will remain so for the duration of his presidency." Kuhlman recommended changes to Obama's diet to reduce his cholesterol level and urged him to "continue smoking cessation efforts." Last June, Obama acknowledged he had sometimes "fallen off the wagon" and occasionally still smoked, despite efforts to quit, USA Today reports. Although first lady Michelle Obama had insisted her husband quit the habit before his presidential bid, he's still puffing away. In his medical report, Kuhlman suggested that Obama "continue smoking cessation efforts," and noted that the president had been using nicotine replacement therapy in an effort to kick the habit. Despite his ongoing struggle with cigarette addiction, Obama remains in tip-top shape, compared to most American men his age, AOL News informs.